Without a doubt, the story around the proverbial water cooler today are the massive changes to the organized play program. There’s now a $10 million esports circuit each year that splits activity between Arena and paper Magic. Gone are all of the non-Pro Tour/GP events, such as Nationals Worlds, etc. The Pro Tour is now called, uh, the Tabletop Mythic Championship I think? Also there’s events just called Mythic Championships that are played on Arena? Pro Points are being frozen soon, and the Hall of Fame will be renamed and the voting process is going to be overhauled. A bunch of platinum and gold pros had their benefits rescinded but were given $75,000 play and stream contracts. Overall, big changes. Expect a staged roll out here, both on WotC’s side, and the community discussion. Look for analysis on the upcoming @mtgfastfinance this week. Noticeably absent from any of the information regarding the changes to the organized play structure is MTGO. 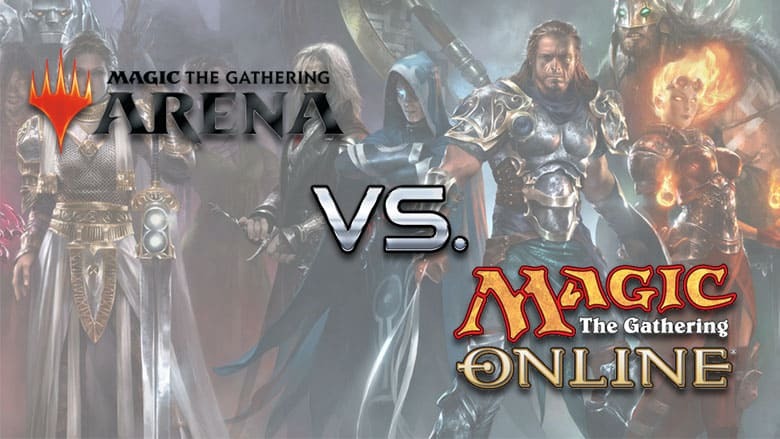 Arena is front and center in the spotlight, one half of the ten million dollar prize purse each year, while there’s no indication that any competitive level events will occur on the older platform. At the time of the announcement a few days ago, this generated a considerable amount of anxiety from the enfranchised MTGO community. Several individuals, spooked by the announcement, started trying to sell out. This was reducing buy prices, which then further spooked more players, and resulted in a downward spiral that pushed ticket values down. Major bot chains started freezing their purchasing of cards and tickets, which generated even more fear (though limited the ability to dump your collection). Prices have stabilized a bit as people have realized the sky isn’t falling. Buy-ins are low though, for sure. 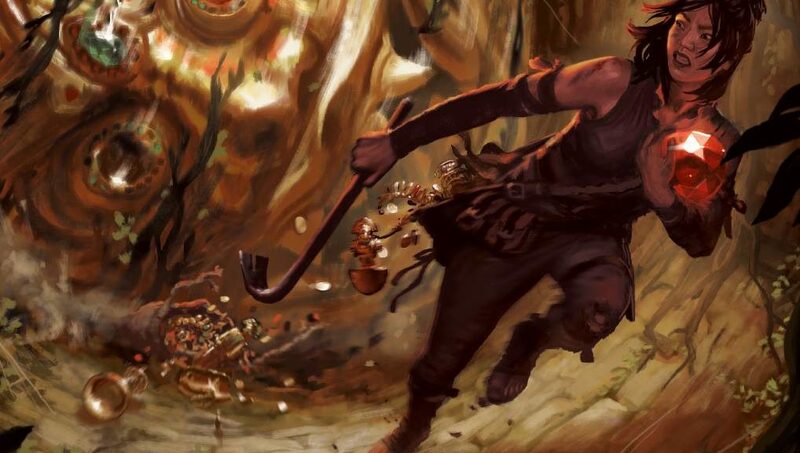 The simple math is that MTGO is profitable for minimal investment from WotC’s perspective. So long as MTGO makes a good amount of money per player, WotC isn’t incentivized to get rid of it. Modern, Legacy, and Pauper are going to continue to be played on MTGO for at least a good while longer. If you’re involved in the MTGO economy — and I stress people that are already involved, not newcomers — now is the time to look for some investment opportunity on staples that shed 10, 20, or 50% in the last several days. I’d recommend against those that are unfamiliar with the MTGO landscape though. Lack of familiarity with the platform may compromise any potential gains. Over in the real world, Niv Mizzet, Parun has been quite popular in EDH for a few weeks. He’s even climbed to the top (accessible) slot on EDHREC’s most-built; third. (First and second are indefinitely locked on Muldrotha and Atraxa.) I’ll admit that I’m a touch surprised by his popularity, but there it is. He’s not tribal, he’s not big and splashy, and all he really does is draw some extra cards. I guess it comes from the fact that you’re incentivized to play a boatload of instants and sorceries, which are admittedly the forgotten class of cards in EDH. Popular within Niv Mizzet, and indeed in EDH overall, is Counterflux. Even as a two-color card it has found its way into over 9,000 listings, making it one of the most popular two-color options in the format. It’s not hard to see the utility; it’s the hardest counter available, and even lets you step in and wipe out an entire stack of spells that may have been built up between an opponent or two. And while less so than EDH, you’ll find Counterflux in Modern lists as well. It pops up in Jeskai sideboards with some amount of regularity, and will increase in popularity as a self-policing force should Jeskai become a larger portion of the metagame. Return to Ravnica brought us Counterflux, and we’ve seen only a single other printing, Commander 2015, which didn’t come in foil. That leaves only the foils from RTR, which just celebrated its 6th birthday. Supply is as to be expected on a card that old. You’ll find barely over 30 copies on TCG right now, and prices don’t stay at $4 for long. 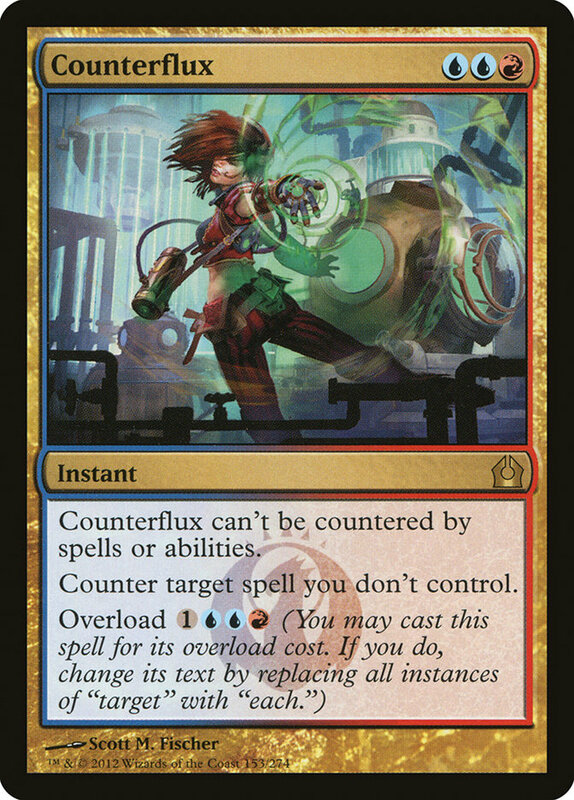 With the continued popularity of Counterflux, and how unlikely we are to see any more foils in the near future, I suspect we’ll see growth on the horizon. Two altars are exceedingly popular in EDH; one of a Phyrexian nature, and Ashnod’s. Phyrexian Altar climbed up to $50 before finally getting a long-needed reprint in Ultimate Masters. Ashnod’s reprint came a few years prior, in Eternal Masters. I don’t need to speak much to Ashnod’s Altar’s strength. Over 30,000 decks are registered with this somewhere in the 99. It will never not be useful. 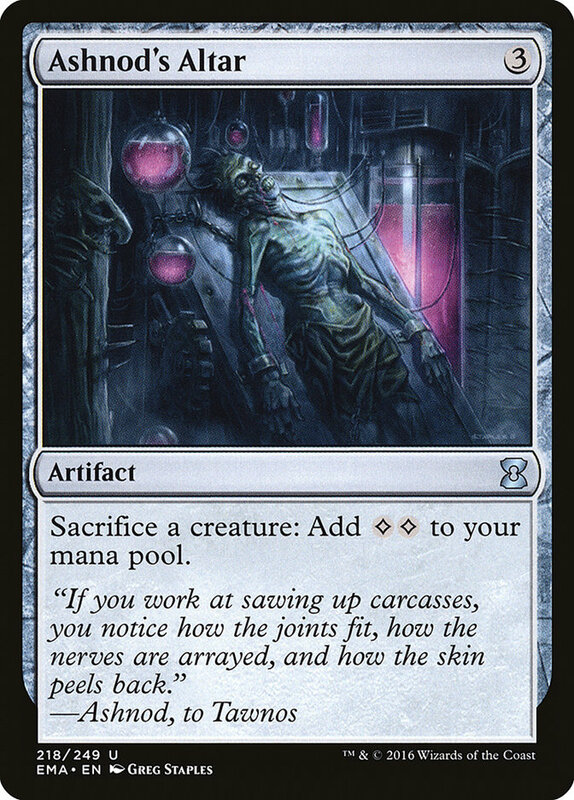 Sacrifice outlets are quietly fantastic, allowing you to make use of creatures that are destined to die anyways, and also allow you to eat creatures you end up with that aren’t exactly yours, per se. There are few as efficient as Altar. The market recognizes that. At the moment, as with Counterflux, there are about 30 foil EMA copies on TCG. What I notice here is the steep ramp up from $10. There are a handful of copies available at that price point, but it’s not long before you hit $15, and then just a few more before $20 and more. This is primed to be cleaned up below $20, and with UMA spoilers finished, it’s not clear when we may see another foil. One can see why paying $10 for the only foil of one of the most popular cards in EDH is a reasonable decision. Previous PostA Moment of SilenceNext PostUnlocked Pro Trader: Ace or Base?